Meetings are held on the third Thursday of each month and occasionally on a Saturday. (See “Calendar” under the “News & Events” heading). Coffee and breakfast treats are served about 8:30, and the meeting begins at 9:00. The location and program topic are announced in the Friday Flyer and on Nextdoor. In warm months we meet in the Atagahi Park pavilion; in cold months in the Overlook Clubhouse lounge. In May, the regular meeting time is usually delayed until 10:00 am. The meeting program includes a display of several Club member boats. And after the meeting, the club furnishes the attendees a ‘tube steak’ (hot dog) lunch with traditional condiments, sides and beverages. For a day each June, the CFPOA opens Atagahi Park to all anglers (no CF license required) for the Club’s annual fishing contest and luncheon. The emphasis is on fun for our young anglers, but it is also an opportunity for all new anglers to get some coaching. The Fishing Club furnishes rods, reels, bait, and coaching. Annually the Club provides a fishing experience at Lake Atagahi for Special Olympics athletes from the area. Fishing equipment, bait, and coaching help are provided for this event. The Club serves a special dinner at Atagahi Park, including fried and baked fish with all the trimmings, soft drinks, and beer. The is the largest social event of the year in Connestee, highlighted by an exceptional silent auction and raffle. 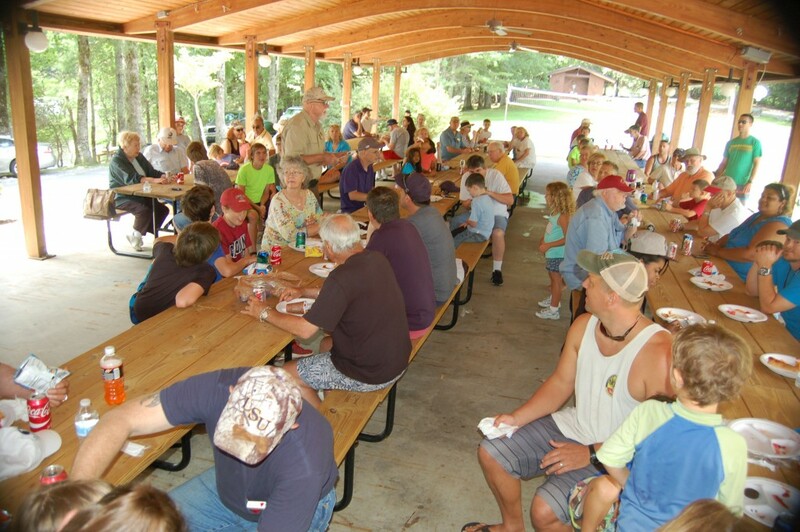 The Fish Fry is usually in July and is open to Fishing Club members and their “out of Connestee” guests. When we finish our club’s scheduled calendar of events, we provide a sumptuous brunch in the Clubhouse to welcome our newly elected officers and honor all our volunteers for their outstanding contributions. After the meal, Annual Awards are presented to recognize exceptional Club contributors.